Mercedes knew they were in a fight for pole, and it was nail-biting time when Vettel went fastest on the first flying runs. But Hamilton as he has so often, delivered when it mattered to grab his fourth pole of the year, and fourth in a row at Silverstone. Bottas was competitive but didn't have that extra spark to beat the Ferraris, admitting to mistakes on the last two corners of his final lap. "That lap took everything out of me, it was the toughest lap I've ever had to do in a qualifying session. I had to go over the limit to get that time out of the car and I could have easily not pulled that lap together, so I'm thankful that I was able to do it. I knew that the fans were right there with me; every time I go out I see them cheering. The support I get at this track is phenomenal; it means the world to me and it really lifts me up. The start and the tyre management will be key for the race; I'm going to see my guys tonight and tell them to keep pushing so that we're as good as we can get tomorrow." "I'm disappointed - our pace was good today and it was all going well for me, but I lost it in the last two corners. I went a bit too deep into Turn 16, lost a few tenths there and dropped to fourth. Without that mistake I think I would have been fighting for pole today. The Ferraris looked strong yesterday already and it was very close today between us and them, so I expect a similarly close fight tomorrow. It's not going to be easy to pass them tomorrow, but we've seen overtaking on this track before, so there's still opportunity for more. We saw blistering last week in Austria, so keeping the tyres in good condition is going to be the key tomorrow given the high temperatures. It is going to be a long and hot race, a tough battle, but I'm looking forward to it." "You probably can't ask for anything more from a qualifying session than to have three cars within a tenth of a second at the front. The atmosphere this afternoon was incredible: every time Lewis passed, you could hear the crowd cheering above the noise of the cars, and that support probably made the difference today. 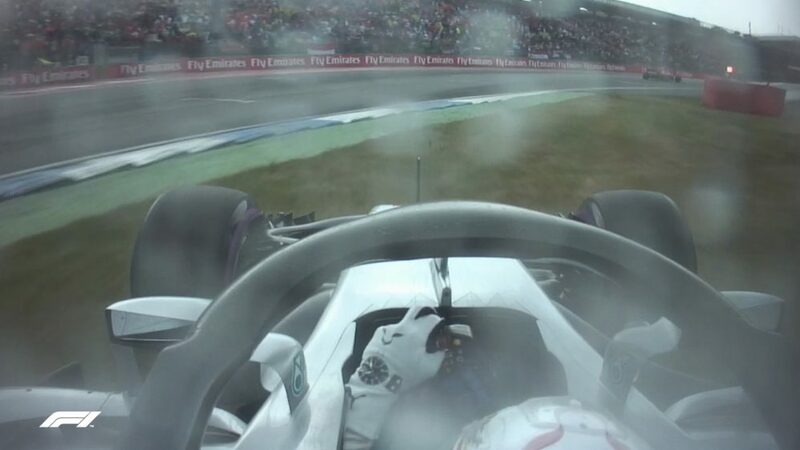 In the end, he was just 44 thousandths ahead of Sebastian - and Valtteri could have been right in the mix as well, apart from a mistake in the last corners that cost him over two tenths. We know already that it will be a tough race tomorrow, and especially so with two Ferraris starting right behind Lewis. There is everything still to play for and we will have to be at our very best as a team if we wish to come out on top." "Yesterday's free practice running proved an extremely accurate portent of what we saw today. 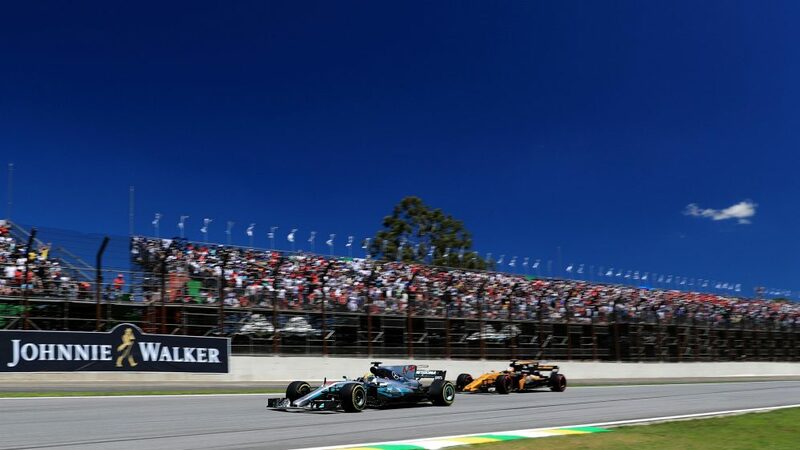 It looked very tight at the front on Friday and so it proved in qualifying: it needed a very good lap from Lewis to put the car on pole and, save for an error in the final corners, Valtteri would have been just behind. If Friday's running proves as accurate a gauge of tomorrow's relative performance as it did for today's, then we are in for a tight and tough afternoon, when strategy and tyre management will play vital parts in who gets to the lift the silverware at the end. The car performed well in the heat on the long runs and we hope we can achieve the same level of performance, or more, when it counts." Vettel missed part of FP3 with a sore neck but returned for qualifying and took the fight all the way to the final moments, when he just couldn't eke out those few thousandths that was all that separated him and his rival. Nonetheless, starting second and with a car that looks to have good race pace, the German won't be too despondent overnight. Neither will Raikkonen, despite the initial disappointment of knowing pole was there for the taking bar one late mistake in the middle sector. “Today the gap to Hamilton was only less than half a tenth, so my lap was almost the same as his. I was happy with my first attempt in Q3, but then on my last run I lost a lot of time on the straight. I don’t know why it happened, otherwise pole would have been there. However, tomorrow we should be ok in the race. Also, the pain in my neck was not nice today, but it should be gone by tomorrow. Even if we couldn’t beat Mercedes today for pole, we made big steps forward as a team, so I wish to congratulate the whole Scuderia because everybody, on track and at home, has done their best. The car is working well and we are faster than last year”. “On my last run in Q3 I locked the front wheels a little bit on the second last corner and I definitely lost some time there. It’s difficult to get the perfect lap together, for sure there’s always room to improve, but this is what we have got today. So far it’s been pretty ok with the car and the set-up and things have been running smoothly; let’s hope that tomorrow is an even better day. Third position is not ideal but not too bad, either. It’s impossible to know if the hot conditions will help us ; yesterday we did some long runs and after that we had a rough idea, but on Sunday it’s a different story and the conditions might be slightly different .Tomorrow we’ll do our best and see where we end up. It’s going to be a long race and it will be quite tricky for the tires. We’ll try to make a good start and then make the right decisions”. 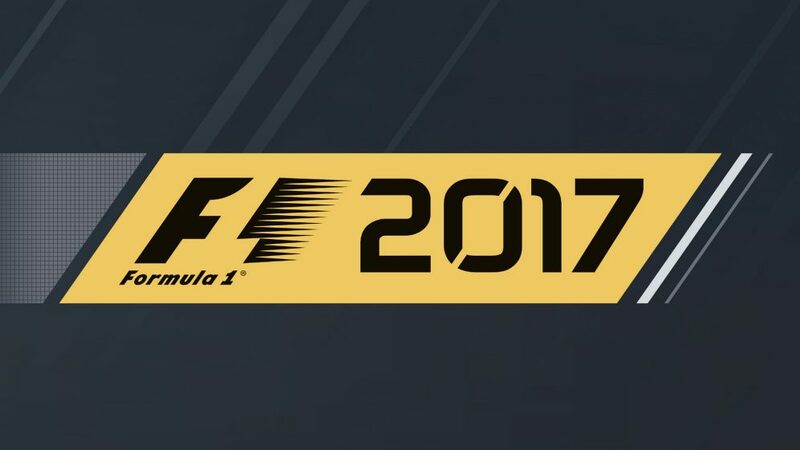 Red Bull were focusing on race day, knowing they couldn't match the teams in red and silver over one lap. Verstappen put his Friday woes behind him to grab fifth, but it was Ricciardo's turn for some drama as his DRS malfunctioned, costing him valuable lap time and he did well to keep sixth ahead of the Haas boys. Haas had a difficult Friday but bounced back in style today, with both cars into the top 10. 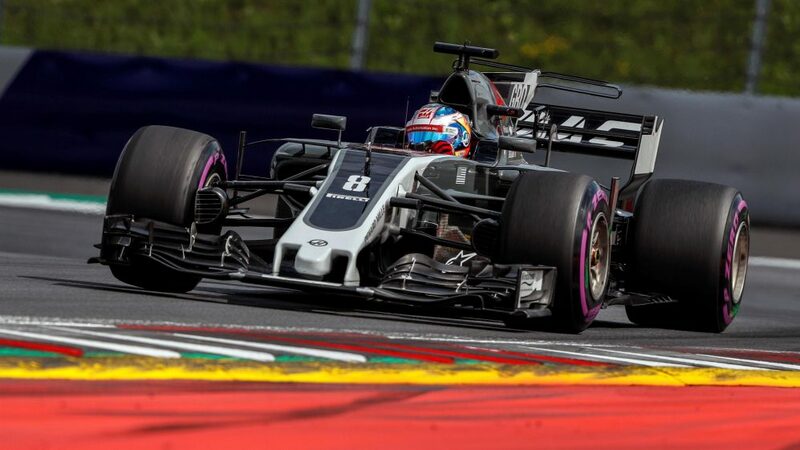 Grosjean had looked the quicker of the two but Magnussen laid down a clean lap when it mattered to beat his team mate by two tenths. But do they have the pace to challenge Red Bull ahead, or will they be squabbling with each other all afternoon? “This weekend in general has been good so far and qualifying has also proved to be okay. We’re still missing a couple of tenths, but P13, being close to the points zone and starting on the clean side was our target after all, and we reached that. “Saturday seems to be our lowest point of the weekend, as we always seem to qualify around P13, but then we improve on Sundays, so let’s aim for that tomorrow and see how the race develops. “We know this track is demanding aerodynamically. It’s a very long circuit where you need both efficiency and power, so it’s quite complex, but we will fight tomorrow. “We definitely could have got more out of the car today. We had a bad FP3, there wasn’t a good feeling in the car and I really struggled for grip. We couldn’t get any decent laps in – it was difficult to push and we didn’t have any real pace, so it’s a shame to come out of qualifying like this. “Since this morning we’ve had a big issue with the handling which made the car feel almost undriveable. We need to understand why that happened and what went wrong. Clearly the other car seems to have some pace, so it’s been a pretty difficult and frustrating day. “I think generally we were in much better shape than we looked today. After yesterday, there was an explanation as to why the cars were performing quite differently, so this morning we made both set-ups the same but something didn’t feel right in the car at all and we weren’t able to find what the problem was before qualifying. In quali too it felt pretty bad, and there was nothing more we could do. “It’s disappointing that we weren’t able to get one car out of Q1, or be a little bit further forward with the other car. It’s been a difficult weekend on Stoffel’s side of the garage in particular, and investigations will continue to get on top of the situation. “However, in terms of pace it does feel like we’ve made a small step forward in competitiveness and that we’re a little closer to our nearest competitors. It’s clear the midfield is extremely tight. Force India had a quiet day, lacking the pace to dominate the midfield battle. They did well to get one car into the top 10 with Ocon, while Perez will fancy his chances tomorrow given he has free tyre choice. From a double DNF to a big points haul, Force India have had a roller coaster in the first two parts of the triple header - but will they finish on a high? 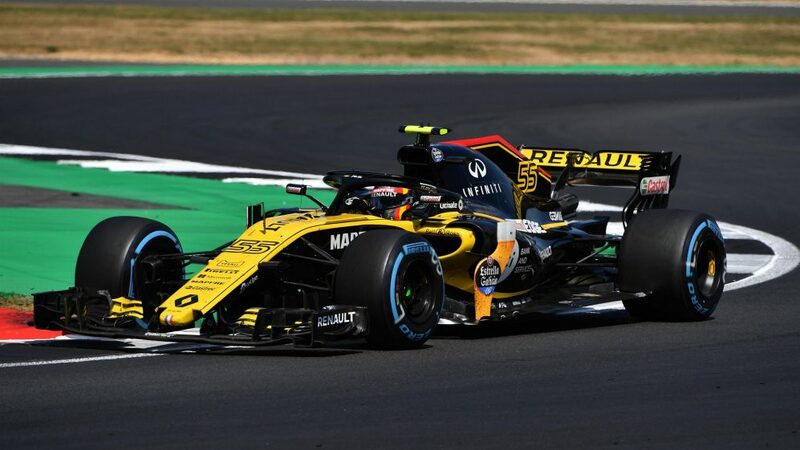 Renault lacked pace today, Sainz going out in Q1 after complaining of traffic ahead, and Hulkenberg failing to make it out of Q2. 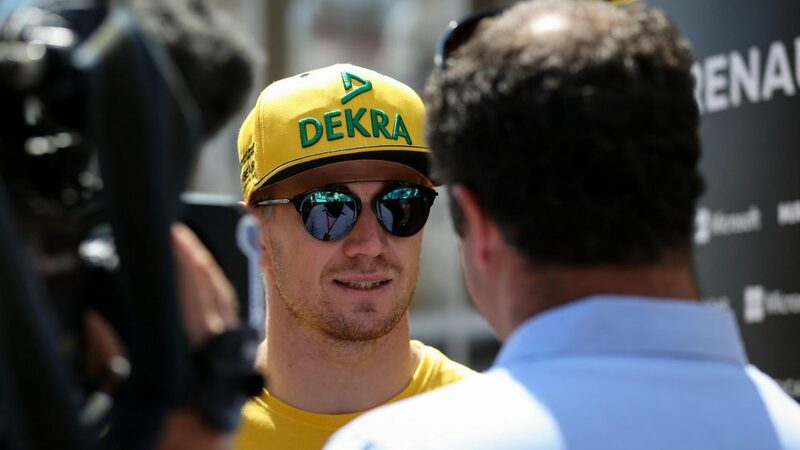 But the German was optimistic that he has a great starting position with free tyre choice, and points are certainly not out of the question despite Renault failing to qualify a car in the top 10 for the first time this season. "We are disappointed for Carlos as it’s the first time he has been out in the first session of qualifying since he joined us in Austin last year. We obviously need to look at why this happened because the two cars have been very closely matched all season. Nico got the best from the car, but it’s been a challenging weekend where we haven’t been quick enough so far. Nico starting eleventh does open up some strategy options as we can choose our tyres, so we will be having a close look at this and seeing what we can do in the race." A day to forget at their home race for Williams. First Stroll put his car in the gravel after snap oversteer caught him out at the start of Q1, before Sirotkin did likewise. The Russian did at least get going again, but after limping back to the pits, couldn't muster enough speed to progress from Q1. "Today was very disappointing for us. The progress in the team is very visible as in certain conditions we are able to put things together and get better pace out of the car. In qualifying, we had the worst possible track and air conditions for us as the sun was out and it was hot. We knew the conditions weren’t going to be ideal, which was obvious when you can see the car behaving how it was. It’s difficult to put together a nice balance around the corner. Lance and I were caught out by spinning, but it’s part of the story. This weekend, even with an ideal lap, we would still be six tenths off making it into Q2. That is the probably the most disappointing thing for us." "I did the exact same thing I had been doing all weekend into corner six and the car just snapped, really aggressively. We have been fighting stability problems all season as the car is very unpredictable and we have to look into it in more detail. It was just odd, as it was so aggressive and I was quite shocked at how it happened so suddenly. Then, I was buried in the gravel and there was nothing that I could do." "Unfortunately, we had a big problem in qualifying which caused both cars to spin. In Lance’s case it ended his session, but in Sergey’s case, he managed to recover to the pits and was able to post one laptime on the board. 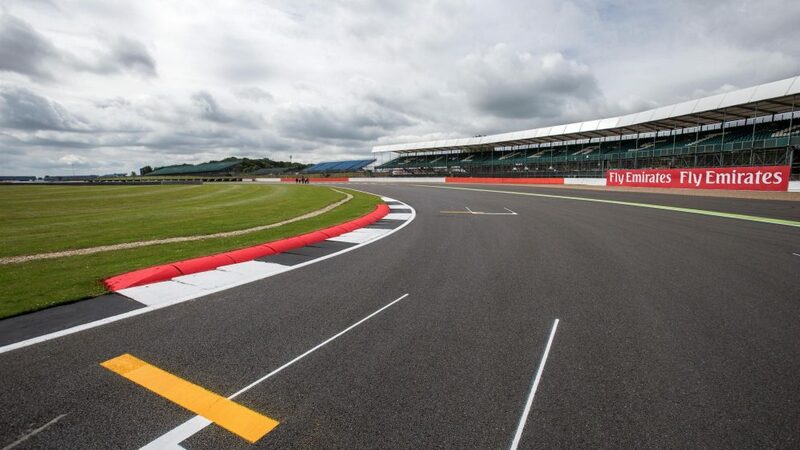 We have a phenomenon which we have not seen all year, or indeed ever before, whereby the DRS activation intermittently causes a complete loss of aerodynamic floor loading which does not recover at the entry to the subsequent corner. 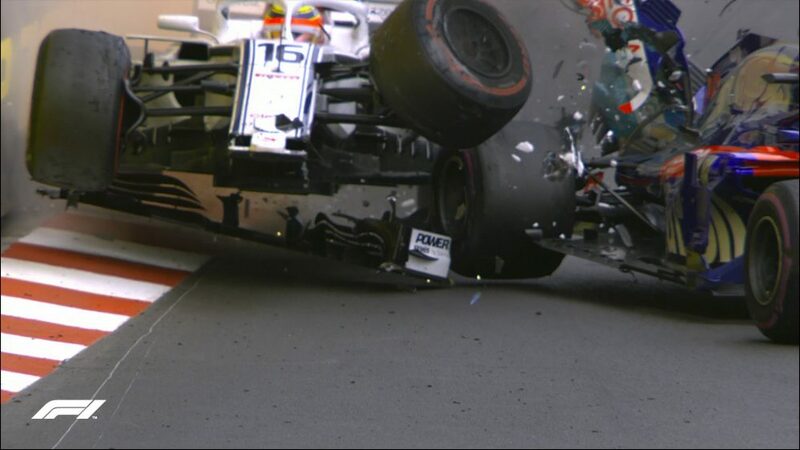 In the case of both spins, the cars entered the corner with no load in the floor which had obvious consequences. We came to this event with a number of new bodywork items which we evaluated during FP1 and FP2. This new DRS-related phenomenon was seen only once in FP1 on one of the cars but was incorrectly diagnosed to be related to a particular configuration which we chose not to carry forward into FP2 and for qualifying and the race. We must now understand exactly what change in the cars caused this phenomenon which is entirely related to the use of DRS." 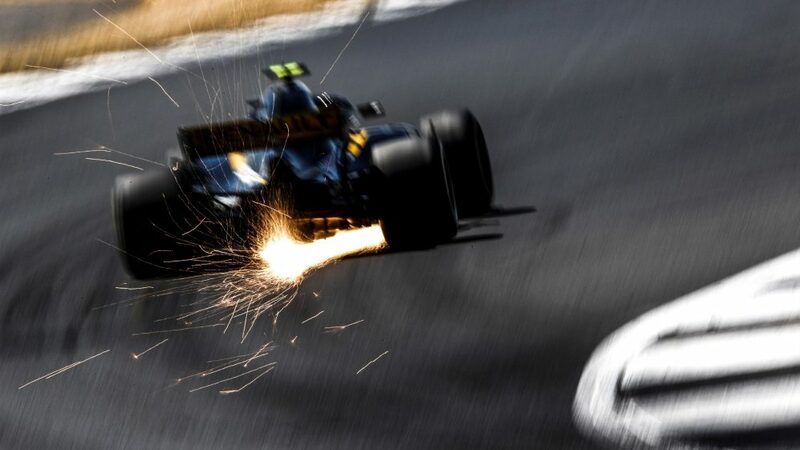 Sauber got both cars into Q2, before Leclerc backed up his recent heroics and made Q3 for the second time in three races. He out-qualified a Force India to boot, and will fancy his chances of a sixth points finish in seven races. Ericsson will have his work cut out to get towards the points, but in an attritional race that will be tough on tyres, anything is possible. Hartley suffered a suspected suspension failure in FP3, pitching him into the barriers at speed. He walked away but his car wasn't so lucky and as such he sat out of qualifying. 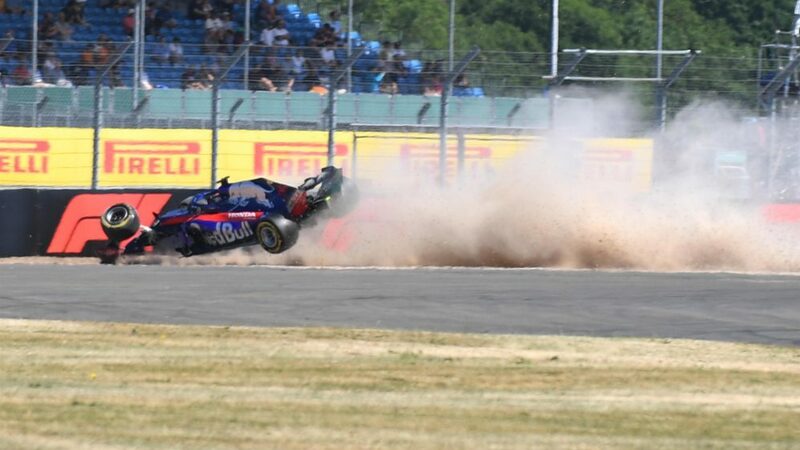 Toro Rosso had a busy afternoon making adjustments to Gasly's car as a result, but the Frenchman made it to Q2 ro repay his team's efforts, despite significantly reduced running.